The difference between those who appear to succeed in life and those that never quite seem to reach their potential is not a matter of talent, education, creativity, and entrepreneurial ideas. In fact, most likely every successful billionaire made their fortune on a concept that was previously considered by someone else who was much more intelligent but who did not have the drive and determination to initiate the project and weather the inevitable setbacks, despair, and hardships required to eventually achieve their goals. In other words, it is not the ability to set worthy goals that is in question. Rather, it is the inability to apply sustained, single-minded commitment. Successful people are not perfect. They are just persistent. Olympic champions such as Michael Phelps have had their fears and doubts, as did Mother Teresa, Thomas Edison, Bill Gates, Mohammad Ali, Michael Jackson, Madonna, and many, many more. Yet, they are considered by many to have achieved a high level of success. Donald Trump has had his financial problems and Amazon.com's Jeff Bezos doubted that his company would sustain its initial success. Surrounding most successful people are well-meaning advice-givers who provided much more discouragement than was warranted. Thomas Edison and Henry Ford's closest family members doubted their dreams. Stephen Jobs, who made his fortune as co-founder of Apple Computer, nearly lost of it all in a venture called Pixar Animation Studios, which is considered a model success story. People doubted him. He stayed the course. And, when Fred Smith, the founder of Federal Express, initially failed to prove that next day delivery would work, his closest advisors suggested that he give up. Lucky for us he didn't and FEDEX is more than just a corporation. It is a verb that is regularly used in businesses through out the world. So, given that successful people have the common attribute of persistence and commitment, how can this fact become relevant to the next client or patient who comes into my office? How does an average person achieve commitment? It is easy to say that the most successful people are special. But, I've already mentioned that this is never the case. All of them have failure stories and more than their share of excuses that should have led them to quit – to include a tendency of those closest to them to encourage failure. Therefore, there must be some other reason. As I have previously written, our society naturally encourages mediocrity. In our school system, which is designed to promote achievement, those who do excel are often ridiculed by their peers. Often people who achieve fame or financial success are considered dishonest, opportunists, who mistreated many to achieve their position. There are numerous familial and societal suggestions that we are not worthy or deserving of success. Over my thirty-plus years of earning an income I have had very few bosses or mentors that did anything to inspire or encourage me. Most wanted me to fit in and not rock the boat. If I had resigned myself to being average, I would most certainly win the support of just about everyone who I ever met. Regardless, there seems to be an innate human drive to create, innovate, and better one's situation. Abraham Maslow's Hierarchy of Needs, which dates back to the 1940's, provides us with a still valid model as to why we seem to have a drive to move to the next higher level of need fulfillment. For instance, providing that our physiological, safety, love and belonging, and esteem needs are met, it appears that we then develop a level of dissatisfaction that drives us toward pursuing self-actualization. Therefore, we have aspirations and goals. Provided these people survive those who enforce mediocrity and who seed the road to success with doubt, fears, and warnings, there maybe a chance that achievements will be realized. Life is a constant struggle between dissatisfaction with our status quo and our fears of what our accomplishments will require. In short, we too often avoid the cost of winning because we inappropriately fear the cost of achieving. We thereby realize the costs of defeat not because of their certainty, but rather because we have been successful in creating the illusions of failure in our mind. If success and failure are both illusions, wouldn't we be much better off choosing the one with the better payback. In my courses I often speak about how the initiation of a change may result from an antithetical condition, which creates a sufficient level of pain or pleasure as to inspire an adaptive response that is sufficient to overcome resistance – and discouragement. Additionally, I maintain that as we have a very powerful imagination, we can create an alternate reality in our mind. Provided that this reality is adequately potent, the goal-seeker just may be able to ward off the ever-present and extremely powerful discouraging people and events that will provide every possible rational excuse for failure. I strongly believe that change is a matter of choice coupled with a strong enough antithetical motivation. Those who realize this will succeed; those who don't, fail. It is actually just that simple. Someone who seems to be on this path may end up in my office for just a little professional help in getting the process started. They want to stop a bad habit or have been sent by their medical doctor so that I can address an appropriate issue. Or, they may be someone who wants to improve their golf game or see their business reach a higher level. 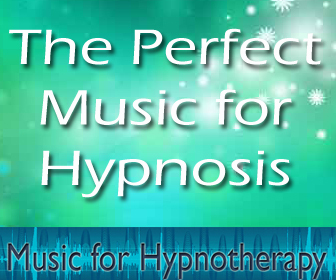 Obviously, with the use of hypnosis and my other skills I help them create this alternate reality, which is potent enough to move them toward and sustain their quest for a better life. Sometimes I am successful. However, occasionally I am not. There are many people who struggle with much more than normal self-doubt and the typical familial and societal resistance to transformation. For them, there is very often something else that needs to be addressed. Whatever it is, it has reinforced their inability to overcome dissuasions and obstacles. Almost always there has been an event in their lives that has led them to be obsessively protective. Some call it having a higher aversion to risk. Frequently I see it in women, who in comparison to a typical male tend to have a more innate nesting and security need as a biological attribute. This does not make men immune from such a problem. However, the reason that clients come to see me is that their drive to change is in conflict with their tendency to resist. Still despite their intelligence and motivation, they just can't seem to make progress. Such a person most likely experienced an event that precipitated a need to be more security prone. This could have been childhood abuse or neglect, an excessively manipulative parent, or the fact that they witnessed a particularly traumatic event (even on TV). This is often coupled with an obsession to control their environment. This includes those who have co-dependency issues. Ironically, this phenomenon is usually counterproductive. Their overly protective and controlling tendencies can be metaphorically depicted as a person who is in a building on fire yet their mind and body opts to freeze them in a stationary position rather than flee to real safety. Their fear response ironically produces a more dangerous situation. When I encounter a person like this I typically begin discovering a related history – which has created a common trend throughout their life. What I hear is a series of marriage and relationship issues, either excessive promiscuity or a lack of intimacy, an inability to fulfill work or financial obligations, a long stream of academic and/or other endeavors that were prematurely interrupted – for obviously logical and rational reasons – and other failures. These are generally people who are the constant nay-sayers at the office, the unsupportive spouse, and the relative or friend who encourages you not to try for the fear that you will be disappointed or hurt. They also will spend much of their time on diversions, self-validation, and aggressively seek validation others for seemingly insignificant (and frequently beneath their potential) accomplishments. Their overriding tendency is to avoid anything that seems to threaten their survival – even if, like the burning house example – their usual decision does just that. Essentially, their obsession with control is their major obstacle as it reinforces the doubts and discouragements that they frequently receive from others. If the over-controlling personality is the worst case example of a person who has commitment and perseverance problems, how can this be addressed with any transformative intervention. For most people who are dissatisfied with their lives, working with them to create a future reality that is sufficiently antithetical is normally all that it takes. Indeed, I have seen many miraculous medical and psychological changes happen with this as the only strategy. However, for the over-controlling person who typically sees risk-avoidance as the logical alternative – even when it has regularly caused a history of consistent failures – something more is needed. Given the fact that the road to success will be ripe with discouragement and setbacks, it requires a lot of persistence and commitment. This derails a vast majority of aspirants. However, when a person's desire to reach goals begins to overwhelm their resistance, this leads them to visit a transformation specialist such as a psychotherapist, coach, or counselor. This person will respond well to hypnotherapy or any other technique that disrupts and overcomes unproductive patterns by providing an internalized alternate reality, which is powerful enough to inspire change. The over-controlling person presents the most difficult challenge. Antithetical alternate realities will be insufficient unless the stranglehold of their over-protective nature can be addressed. 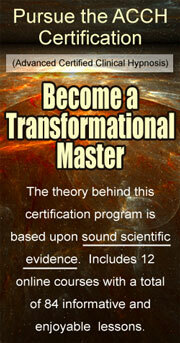 This requires a competent practitioner who is talented enough to disrupt their underlying patterns. Once this is accomplished, that person may also find that they are more likely to become capable of achieving their dreams.